One of Eindhoven365’s campaigns was recently chosen as the best travel campaign of 2018. This was during the Influencer Marketing Awards held in London last month. The AnOther City Trip 2018 is the city marketing organisation’s way of putting Eindhoven on the map. 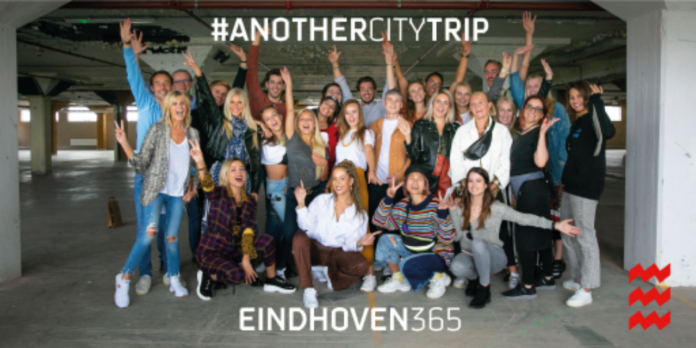 “Eindhoven365 tapped into the world of influencers with Instagram Stories to reach new audiences for the first time to reinvent influencer marketing for urban explorers,” reads the Influencer Marketing Awards website. Sixteen influencers from Belgium said ‘yes’ to a 48-hour mystery city trip. In preparation for this trip, Eindhoven365’s project team followed these influences on social media. Based on their personal tastes, a customised programme – including shopping, meals, and drinks – was developed for each person. The influencers, as well as the business owners who were part of this project, were very pleased with this custom-made, highly-personalised trip. “You really need to visit Eindhoven and discover some cool hotspots,” said one of the influencers, Inge Moerenhout. “The customisation of the programme really convinced our guests. This group got really excited about the city and the information they received about the diversity of Eindhoven. They and we were truly energised by the weekend!”, says local restaurant owner, Ailén Gamberoni. This third edition of the AnOther City Trip was developed in partnerhsp with the marketing firm, Zandbeek. In turn, this company joined forces with Coopr, a Dutch-Belgian PR firm. The project was co-financed by the Business Invest Zone (BIZ) Eindhoven Centre.